I was pumped for my vacation. Between running a company, mentoring my team and being available for my family and community, there’s not a lot of time left over. I’m fortunate to be able to do what I love but that doesn’t mean I don’t look forward to some relaxation. After attending Leadercast Live in Atlanta, I met up with my lovely wife in Florida for some fun in the sun – and sand! We spent a week eating our favorite foods, taking things at a slower pace and generally just enjoying each other’s company. We both noticed how everyone seemed to be happy. Granted, my euphoric state may have produced the rose colored glasses that I viewed our time in Florida through but in general, everyone seemed to share a happy vibe. Chalk it up to the warm sun mixed with famous southern hospitality. So after the perfect amount of sun, the perfect amount of time away and the perfect amount of relaxing, we prepared to return home. We get to the airport and after quickly checking in, we decided to grab a bite to eat before getting into the air. It’s 7:30pm as we scan the area around us and find two viable options: a Starbucks and a Mom-and-Pop deli. “Oh, I’m sorry, I saw your lights were still on but are you still open?” I reply. I’m a pretty reasonable person but really wanted that bagel toasted, so I asked if they could turn the toaster on? The answer was no. They said “No” again. I was shocked. My wife turned to me and said, “Hey babe, if you want a toasted bagel, Starbucks has that.” At which point, we thanked the deli attendant for their time and left the establishment. As we leave, I glanced back at the attendant to see if there’s any sort of reaction, however, her face was already buried back in her phone. I’ve been accustomed to this awesome greeting when entering a Starbucks and I always reply, “Welcome Starbucks, we’re really happy to be here!” I politely ask for a toasted bagel with butter and our guy quickly jumps into action. 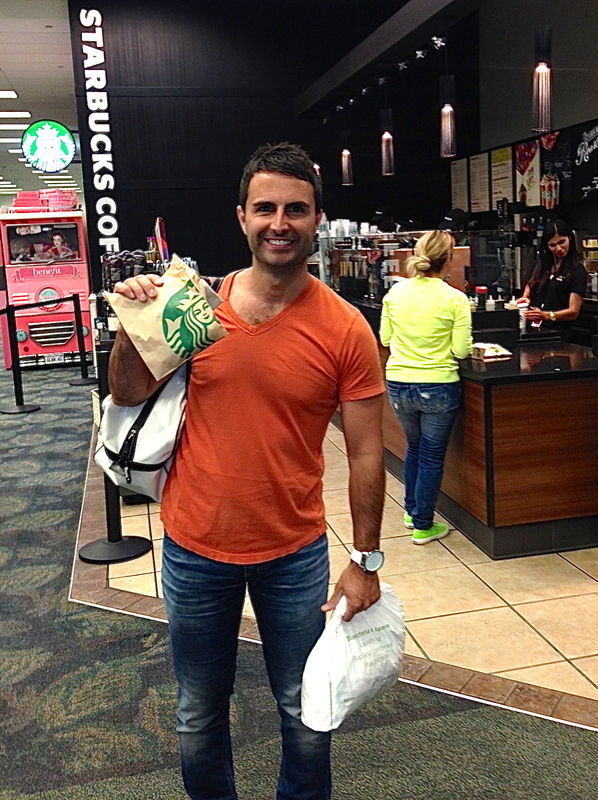 Roma Moulding’s Chief of WOW, Tony Gareri returning from his trip in Florida. It’s tough to explain how awesome this guy was or exactly what he made us feel. Somehow he made eye contact, was upbeat and assured Starbucks would keep me as a customer for life. He continued to make our food with love and care and when handing us our order he asked if I would like an extra cup that I could pour my juice into. I’m not privy to what the attendant at the deli’s compensation was compared to my friend at Starbucks but I’m willing to bet they’re in the same tax bracket. One practically drove my business out of their store while the other further enforced one of my true constants in life – Starbucks does it right. Everyone who knows me knows I live in a world of WOW and how I love to acknowledge those who positively contribute to our world. I happily paid for our exchange and left generous tip that didn’t go unnoticed. As I walk out the door with my toasted bagel in hand I said to myself, “Why doesn’t everybody treat people like Starbucks does?” I learned a lesson that day. The price was almost double at Starbucks what I would have paid at the deli but that’s irrelevant at this point. Here are two companies, right beside each other, selling basically the same stuff. I went into Starbucks knowing I’d pay twice as much and still left a tip. The deli charges peanuts but offers no experience. Starbucks can be pricey but they have a lineup out the door. When you’re a medium sized business like us, every interaction counts. 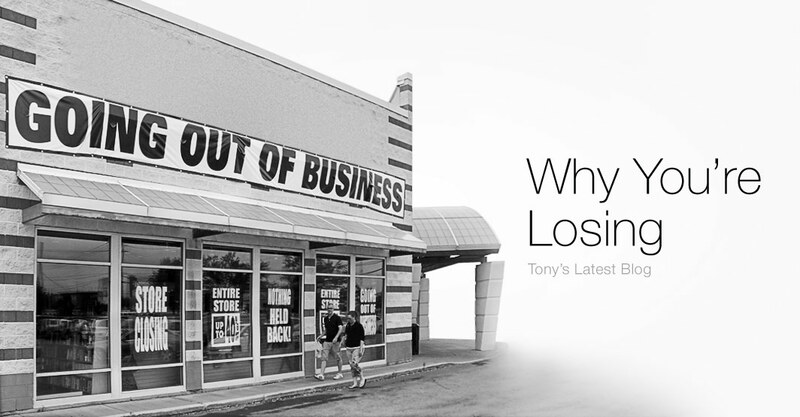 Don’t think you can earn back patronage because once they leave, they aren’t coming back. Share your stories with your team (or this one!) and let them know how valuable they are to keeping your business thriving. Great stuff – customer service is ultra competitive and so important to your business’s success. WOW! I can’t believe they wouldn’t even turn the toaster on! How hard could turning a toaster on be? Only one minor sticking point. The message about customer service is spot on. Starbucks,however, does not sell bagels. They sell a round,doughy object that somewhat resembles a bagel. Amazing service and providing the customer with an incredible experience is the key to success. Totally true! Great post and capture of the moment! It truly was wow! Oh and not to mention Starbucks at the airport was due to close THREE hours prior but as a team they decided (HAPPILY) to stay open until every single flight that was scheduled had left and make sure all patrons were taken care of whereas the mom and pop shop was resentful at the patrons for having to stay later than expected as if it was the passengers fault! What a difference in context! The whole Starbucks team was grateful to serve, grateful to continue to work, grateful for th extra hours and responsible to their community :-). Completely wow! Just like Roma’s team 🙂 every company has to learn this :-)!! I am sure this is a supplier of yours. I would like one box of each. Can you please email your request to marketing@romamoulding.com and we’ll help you out? Creating great atmosphere in a retail environment is one of the most difficult intangible assets for businesses to master. An employee made all the difference in the way you felt at these two shops. Thanks for sharing. Inspiring and true! That’s why I am blessed to be a warrior of WOW! Customer service is and will always make the difference. Such a simple concept that so many companies still don’t get! Thanks for sharing your experience. Love the post and thank you for sharing your experience. It is incredible that since we have become so accustomed to delivering a WOW standard of service, our expectations on the service we receive has changed. Taking an extra few moments to provide a great experience make a world of difference. Great Job! Truer words never spoken Tony. When I step in to one of our partner establishments I’m confident that our team at Roma is bringing a new level of excellence to customer service…great team Roma! It’s amazing how a customer service experience can make or break the successes of a business. I tend to believe that sometimes the employee can be having an off day and give them the benefit of the doubt, but if I get a poor experience twice then they’ve lost a customer for life. Employee behaviour is so reflective of the organization, so WoWing from the top down is so important! Roma is really on the right track in living up to its Family Core Values! Great experience share, Tony! It’s not about bagels and coffee but simply your feelings. One place you felt loved and appreciated. The other place you were ignored. Love always wins…family, home, business. The feeling of great service is what makes you keep coming back. Great on you Tony for bringing this to our industy. More people should follow this company. Take pride in all you do in life. At home and work and in your family life. This will always make you successful . It goes to show that service is at the heart of it all. The little things in business are GIGANTIC!!!!! Tony, another great blog thanks for sharing. Thank you for sharing your story. This experience is a great example that it’s NOT always about the price but service. No one can put a price point on service. 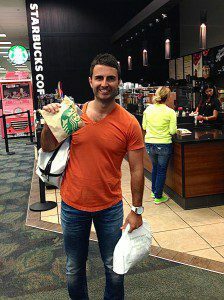 Starbucks did a great job and it was done with love! Roma does a great job with Customer Service!